Missing Link is a movie directed by Chris Butler and written by Chris Butler.The cast includes Hugh Jackman as Sir Lionel Frost (voice), Zach Galifianakis as Mr. Susan Link (voice), Zoe Saldana as Adelina Fortnight (voice), Stephen Fry as Lord Piggot Dunceby (voice) and Emma Thompson as The Elder (voice). 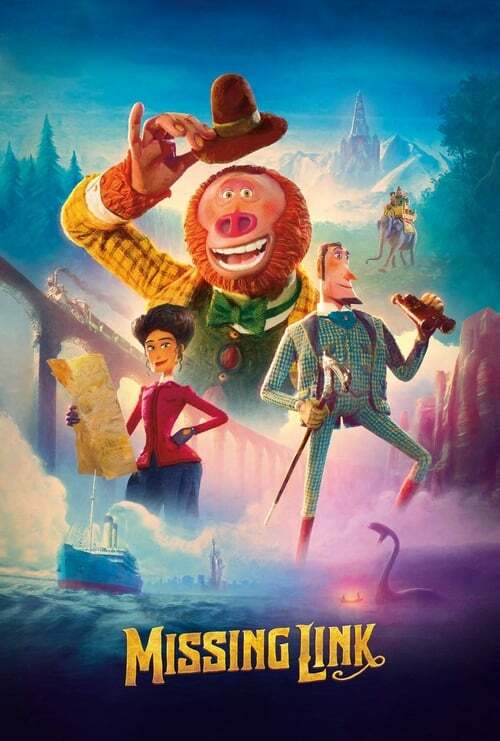 The movie is already released, with the theatrical release on April 12th 2019 in the US.It was produced by Laika Entertainment and Annapurna Pictures. The runtime of Missing Link is 95 minutes. The movie genres are Animation, Comedy, Adventure, Fantasy and Family. Wide release of Missing Link brought mixed feelings, as different media came up with a variety of US box office predictions. Box office collections for Missing Link are available for Pro users. Sign up for access.